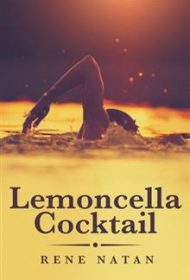 Rene Natan’s Lemoncella Cocktail is an entry in the suspense/thriller genre. The story features Amelia McLeod, who gets involved unwittingly with a gun-smuggling boyfriend, Oscar, in Toronto. When she inadvertently witnesses a gun sale, Oscar marks her for death, but the inept thugs sent to do the job bungle it and make an attempt on her 14-year-old sister Samantha instead. Meanwhile, itinerant and out-of-work bartender Patrick Carter happens along just in time to pull Samantha out of a river, and is then drawn into the Canadian Security Intelligence Service’s (CSIS) hunt for the gun smugglers and Amelia. Along the way, he becomes involved with the McLeod family and falls for CSIS agent Emy Walker. Unfortunately, Lemoncella Cocktail is greatly hampered by a plethora of unbelievable characters and situations and an uneven tone. For example, the villains sent to get rid of Amelia, Nat and Martha, talk of leaving crime and opening a B&B (because she makes good waffles). This could work if the book were a comedy a la Janet Evanovich, but it’s a serious thriller. Other examples: The investigation task force head sends Patrick into an undercover situation, even though he’s untrained. And Emy’s domineering father, formerly of the Royal Canadian Mountain Police, storms into the ongoing investigation to demand the task force head stop the romance between his daughter and Patrick. It seems highly unlikely any father would demand an employer break up an employee’s romance, again, unless this were a comedy. Meanwhile, Amelia, who should be the story’s focus, spends most of it hiding or conveniently unconscious off stage. All of these situations stretch credibility and destroy the possibilities for suspense and tension. In addition to the character issues, Lemoncella Cocktail is unnecessarily long and could use an astute editor to trim it significantly, eliminate many of the characters, and remove mundane details, such as descriptions of meals. In short, the novel requires thoughtful revision before it’s ready for a wide audience.